Local NA-1 is about to flag the Cottage St. crossing in Milford, NH. To the left of the engine is the Milford Hillsboro Branch depot. 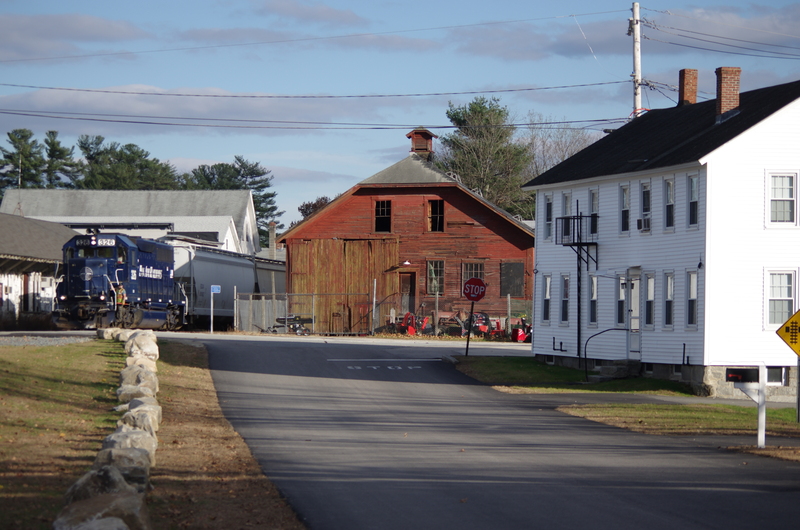 To the right is a freight building that had an enclosed siding.